Hard to believe, but the strawberrybricks.com is celebrating its 7th year with the new design. Thank you to Robert Gomez and Ajenda Interactive for their help, and you the visitor for your support! "DEEP DISTANCE - THE MUSICAL LIFE OF MANUEL GÖTTSCHING IS NOW AVAILABLE TO ORDER. Update: December 2017 - Still in stock and into a third print run! Well over six years in the writing, this has been painstakingly pieced together but was also a real labour of love for me. Bassist Jim Rodford, a founding member of Argent and longtime bassist for The Kinks, passed away on January 20th. My condolences to his wife and two sons, and his cousin Rod Argent. RIP, Jim. (Photo from The Zombies Facebook page). "AJ Dehany caught up with Soft Machine’s John Etheridge and spoke to him about his formative fretboard influences and approaches to guitar playing, as well as penetrating the complex chronology and politics of the ongoing Softs saga." Recently unearthed live clip of Jürgen Dollase, Harald Großkopf and Bill Barone performing live for Radio Télévision Suisse in 1973. 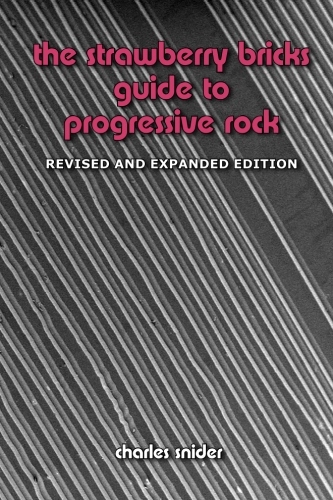 Top shelf progressive rock!